Ceylon Blue Sapphire of 3.62 carats set in 18ct White Gold Gents ring. Beautiful Natural Sapphire with a solid size. 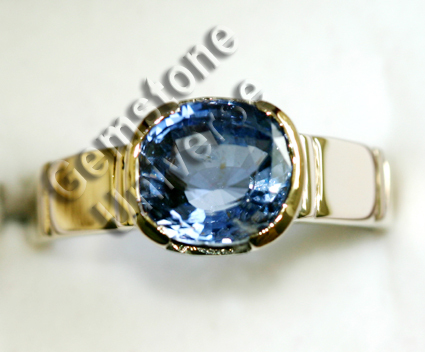 To get a fully unheated gemstone of this size is rarity and good fortune. Brilliant Luster with a Violet Tone makes this a very special Gemstone.